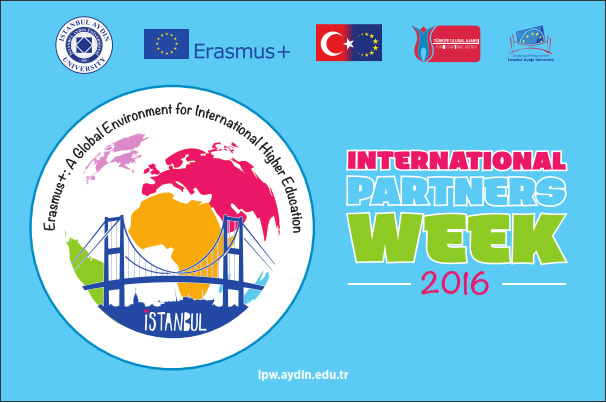 On behalf of Istanbul Aydın University it is our pleasure to announce our second International Partners Week to be held between 25th and 29th April, 2016 in Istanbul, Turkey under the theme Erasmus+: A Global Environment for International Higher Education. As the Erasmus programme was one of the EU’s most iconic initiatives for more than a quarter of a century, Erasmus+ encompasses a range of new ideas that have the potential to drive European student mobility forward in terms of both quality and quantity, while embracing the use of digital solutions. Given its importance in a way few other political initiatives can aspire to, we consider crucial to make every effort towards increasing Erasmus+ Programme’s reach and impact from an international to a global level. 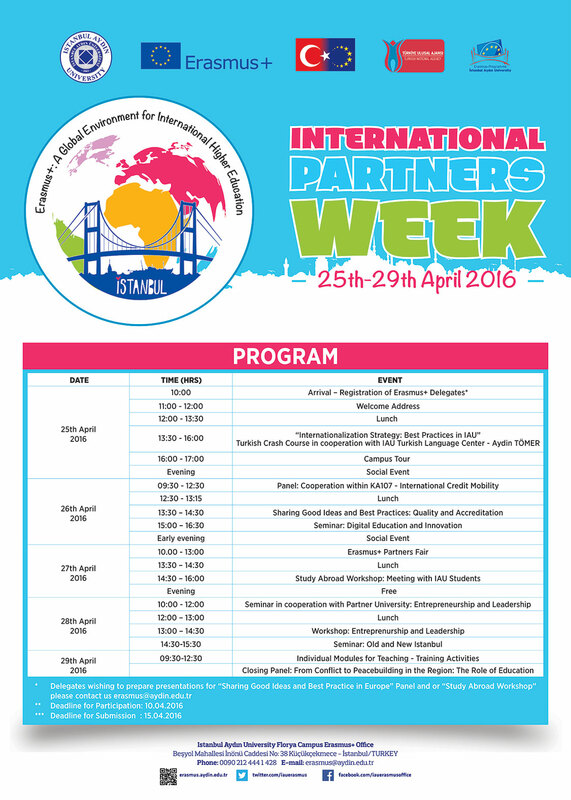 In view of the above, we would like to invite you, your colleagues and your distinguished academicians to take part in our International Partners Week Event to an open and constructive discussion about how the full potential of the programme can best be achieved. During International Partners Week, we will offer different sessions for teaching and training for our esteemed teachers and/or administrative staff guests. The program will be filled with interesting seminars, panel debates, workshops, individual training and social activities and will constitute a great opportunity for networking and developing new cooperation projects with peers from different countries and universities. Like every year, it would give us a great honor to have you present and represent your university during our Erasmus+ Partners Fair and during meetings with IAU students. Please click here for the online registration form to our event. We very much look forward to welcoming you to Istanbul for a mutual exchange of ideas and a pleasant time with us.